Microsoft has been working on a new mysterious Surface device for at least two years. Codenamed Andromeda, the device has appeared in patents, reports, and in operating system references multiple times and will include a dual-display design. According to a Microsoft internal document obtained by The Verge, itâs also going to be a pocketable Surface device. Microsoft describes its Andromeda project as something the company has quietly incubated internally, and that will create a ânew and disrupti veâ device category to influence the overall Surface roadmap and blur the lines between whatâs considered PC and mobile. 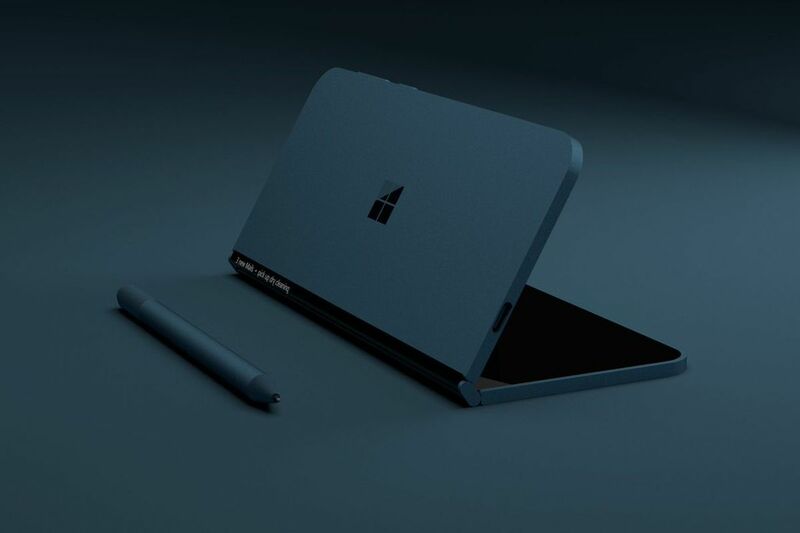 âItâs a new pocketable Surface device form factor that brings together innovative new hardware and software experiences to create a truly personal and versatile computing experience,â is exactly how Microsoft describes the device internally. Thurrott originally reported some of Microsoftâs plans earlier this month, and Numerama originally unveiled the Andromeda codename last year. Microsoft declined to comment on Andromeda to The Verge. Microsoft originally introduced Surface RT and Surface Pro six years ago as devices that were designed to create a new category to challenge the differences between a tablet and laptop. The Surface Pro has successfully disrupted laptops and tablets, and everyone â" including Apple to some extent â" is copying the Surface approach now. Microsoftâs Andromeda is the next major bet to challenge what we consider a phone and a PC. The Andromeda device is still being developed in secrecy inside Microsoft, with a wraparound display that bridges the gap of the hinge when itâs fully opened. We understand current engineering samples of the pocketable Surface look identical to the 3D concept created by David Breyer. Microsoft has also been experimenting with stylus input for Andromeda, so that the device can fold over like a book and a pen can be used to capture digital ink. Prototype devices include styluses and notepad-like apps to capture notes. Microsoft is also experimenting with ARM processors inside prototype Andromeda devices, but itâs not clear if the company will proceed with Intel or Qualcomm for a final device. Intel is also working on similar dual-screen devices that will eventually take advantage of Microsoftâs software work with Andromeda. Intel has created prototype devices with both dual displays and electronic paper displays (EPD), and itâs sharing reference designs with its OEM partners. Asus and Lenovo are creating devices that are inspired by Intelâs own concepts, and at least one device will be available later this year. Whatâs in your bag, Lakeith Stanfield?